Foster carers, job seekers and volunteers are invited to become qualified first-aider for free, thanks to a grant awarded to Diagrama Foundation. A limited number of fully-funded places are available on two courses - Emergency First Aid at Work and Paediatric Emergency First Aid - to be held in Maidstone next month and delivered by United Safe Care - Diagrama's first aid service. 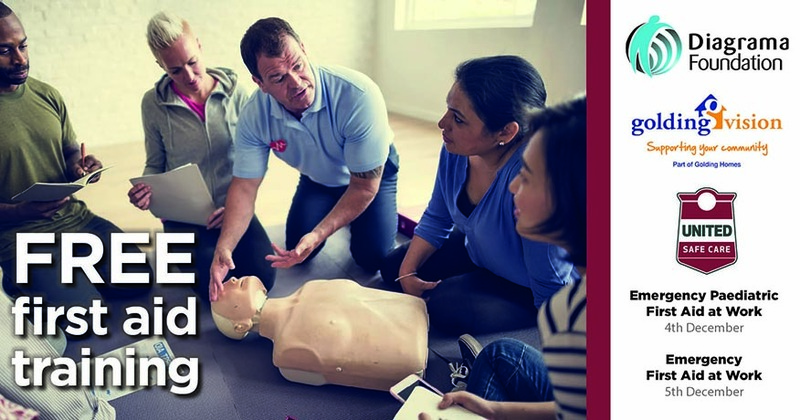 The one-day courses have been made available thanks to a grant from Golding Homes Community Chest fund and aim to provide members of the community with vital life-saving skills. To book a place, please contact Shane Newcombe on 0800 169 0255 or email info@unitedsafecare.co.uk for details.